Introduced last summer, the 2014 Ram 1500 Black Express Edition was quite popular with pickup truck drivers according to the Chrysler-owned brand, who has just revealed that the appearance package will make its way onto the more capable Heavy Duty lineup. As suggested by its name, the Black package wraps both the Ram 2500 HD and 3500 HD in an all-black exterior. In fact, we might as well call these trucks the triple-black Ram pickups, as the chrome is completely removed from both bumpers and the imposing cross-hair grille, which are now offered in the same color as the body. 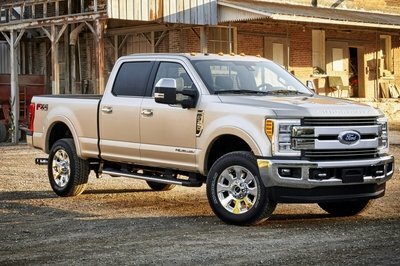 To complete the menacing look, the manufacturer perched the trucks on black 20-inch aluminum wheels and removed body-side badging from all models save for the diesel, Cummins-powered ones. Naturally, the premium bi-functional halogen headlamps and the fog lamps come with blacked-out housings, the taillights feature a smokey finish, while the windows are tinted all around. Also included with the Black package are 15-amber-LED turn signals, 3-amber-LED side markers, and Parkview and Parksense technologies. The new appearance pack can be had with Crew Cab and Mega Cab Ram 2500 and 3500 SRW models in Big Horn and Laramie trims, in either two-wheel and four-wheel-drive configurations. Pricing starts at $42,140 for the Ram Heavy Duty Black, plus a $1,195 destination fee. 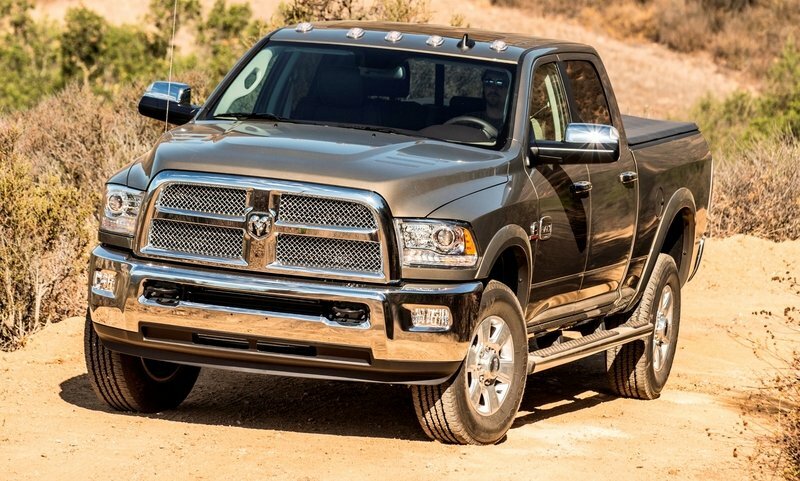 Click past the jump to read more about Ram Heavy Duty. For 2014, the Ram 2500 and 3500 Heavy Duty trucks gained an array of updates inside and out, as well as under the hood. The trucks are now quieter and come with an improved ride thanks to a new rear suspension design and available air-ride springs. Inside, the working men are greeted with new driving assist technologies, improved power-operated seats and Chrysler’s popular UConnect 8.4 infotainment system. Important changes in the drivetrain compartment include the addition of an optional 6.4-liter Hemi gasoline V-8. 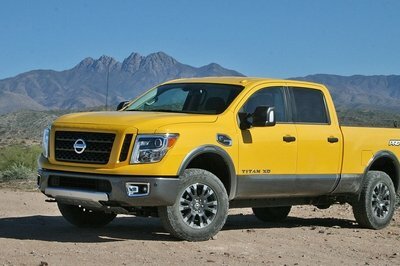 The 410 horsepower and 429-pound-feet unit was slotted between the standard 5.7-liter Hemi V-8 and the larger 6.7-liter Cummins turbo-diesel mills, which can generate up to 800 pound-feet of torque. Towing ratings are now up to 30,000 pounds for the 3500 HD, a figure that places the Ram above its Ford and Chevrolet competitors in this class. For 2014, on the heels of an overwhelming response for the Ram 1500 Black Express package, the brand now offers a new, even more imposing visual appearance treatment for the Ram Heavy Duty (2500 and 3500 SRW). Making its debut at this week’s Atlanta International Auto Show, the Ram Black Appearance Group is a combination of brute force and style, with powertrains offering best-in-class power in both gas and diesel, not to mention a long list of features not found anywhere else in the segment: Cargo-view Camera, RamBox, manual transmission for diesel and a best-in-class ride from Ram’s link coil rear suspension (2500) with air suspension option (both 2500 and 3500). 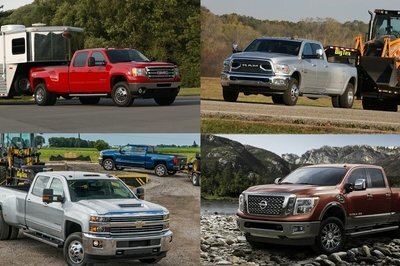 The most capable Heavy Duty also is the “baddest-looking” factory-built truck on the market. The 2014 Ram Heavy Duty Black package is distinguished by its all-black exterior. Starting with 20-inch black aluminum wheels, it also features fog lamps, black grille surround with black horizontal inserts specific to the two available trims. Of course body-color front and rear bumpers and head badges on the grille and tailgate complete the look, camouflaged in darkness. 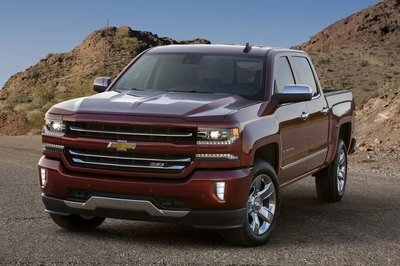 All body-side badging has been removed unless if ordered with a Cummins engine. 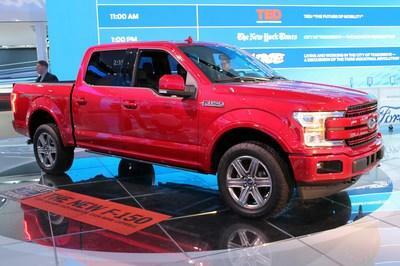 For those trucks, only the diesel designation remains. Looks and technology go together. The Ram Heavy Duty Black package features premium bi-functional halogen projector headlamps with black bezels, 15 amber LEDs for park/turn/position lamp and three amber LEDs for the side marker. The taillamps also include black finishes and are comprised of 15 red LEDs with three red LEDs for the side markers. Also, as part of the Black package, the trim includes Parkview and Parksense. The 2014 Ram Heavy Duty Black package is available in Ram 2500 and 3500 SRW, Crew Cab and Mega Cab, Big Horn/Lone Star and Laramie models with the choice of two- or four-wheel-drive. Ram Heavy Duty Black pricing starts at $42,140, plus $1,195 destination charge and is currently open for orders.